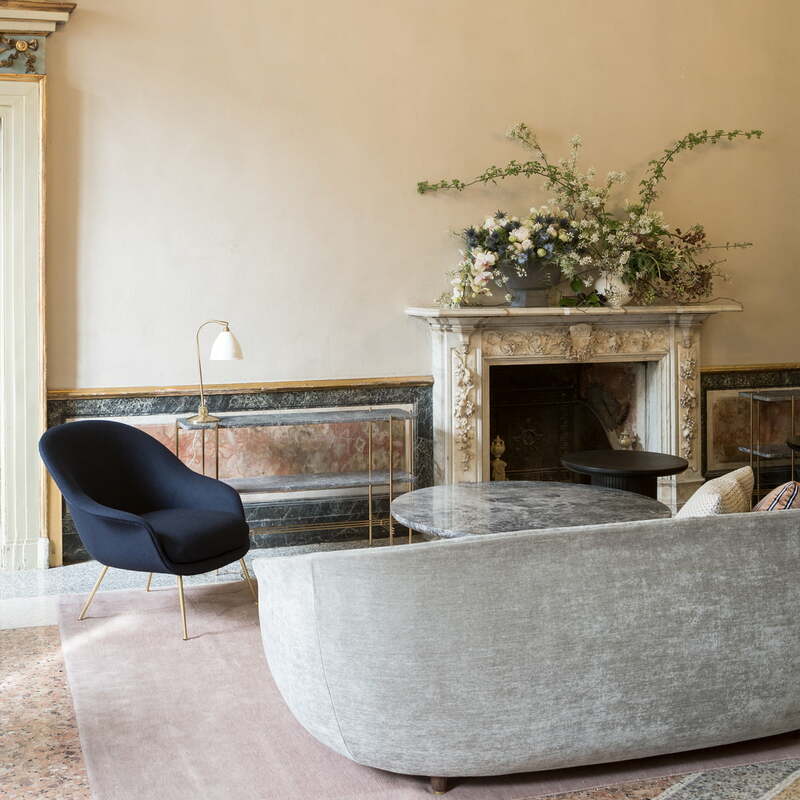 The Bat Lounge Chair with a base made of metal by GamFratesi for Gubi impresses with its filigree, thin legs and generous seat area with a striking seat shell with the option of a high or low backrest. The shell of the lounge chair is reminiscent of the wingspan of bats, which is where the inspiration for the name came from. 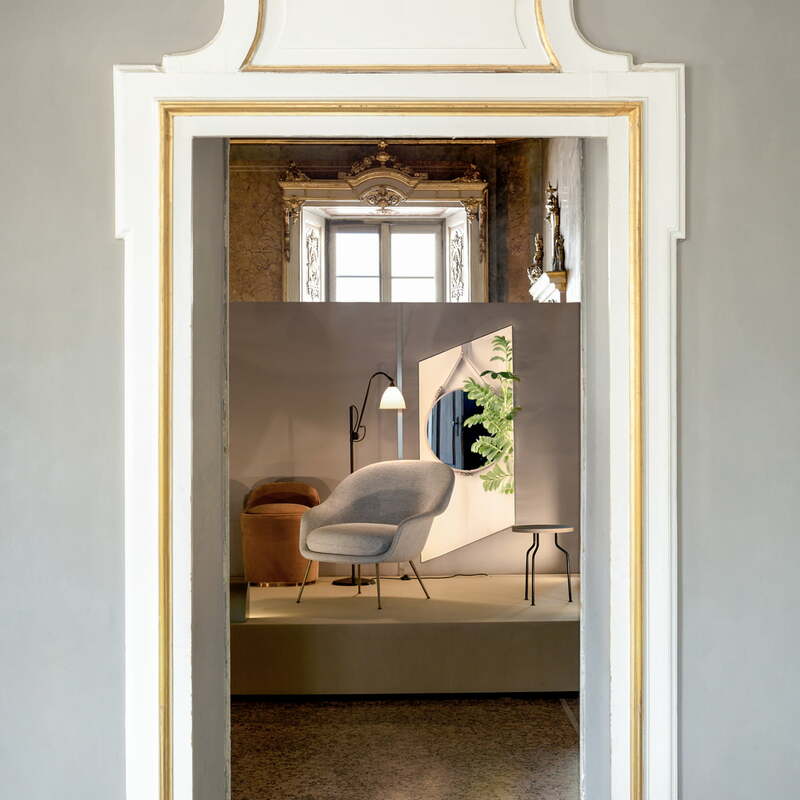 The armchair with a high or low backrest consists of a metal frame and a luxurious upholstery available in various materials and colours. Alternatively, the Bat lounge chair also exists with a frame made from wood. 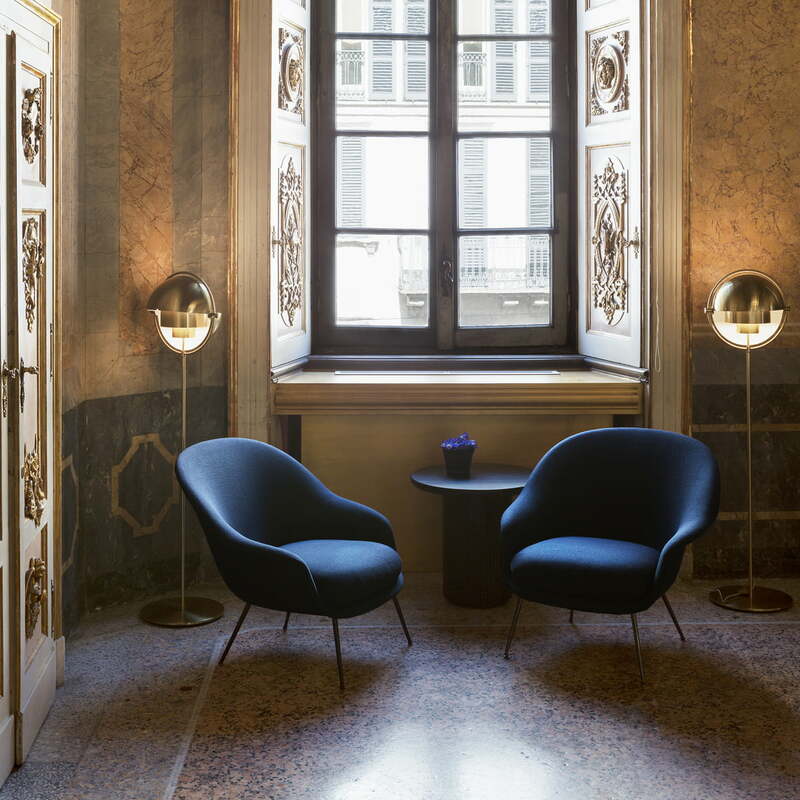 With a wide selection of upholstery options and different bases, the Bat Lounge Chair fits perfectly in a variety of public and private spaces. Moreover, it has an inviting appearance which makes you want to sit and relax. 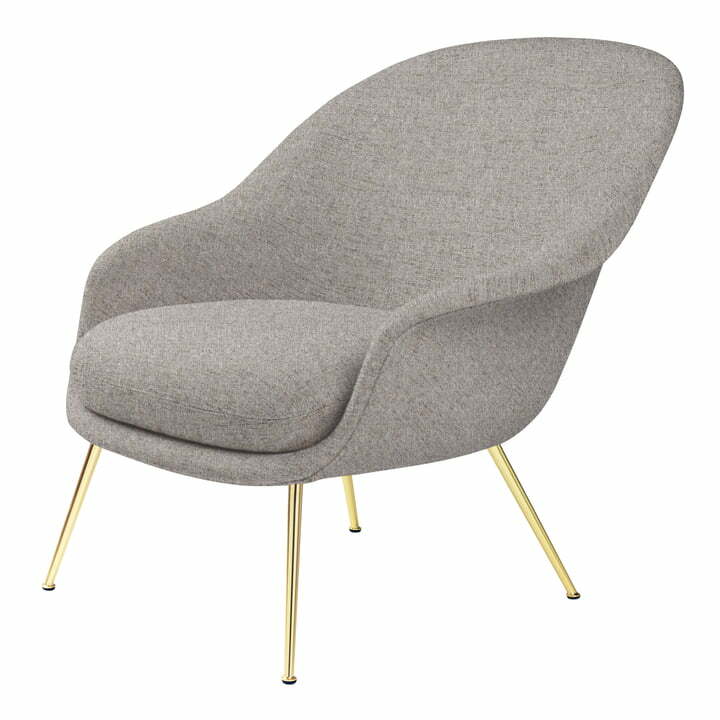 Isolated product image of the Bat lounge chair with low backrest by Gubi with a frame made from brass and upholstery consisting of Hallingdal 116 fabric.